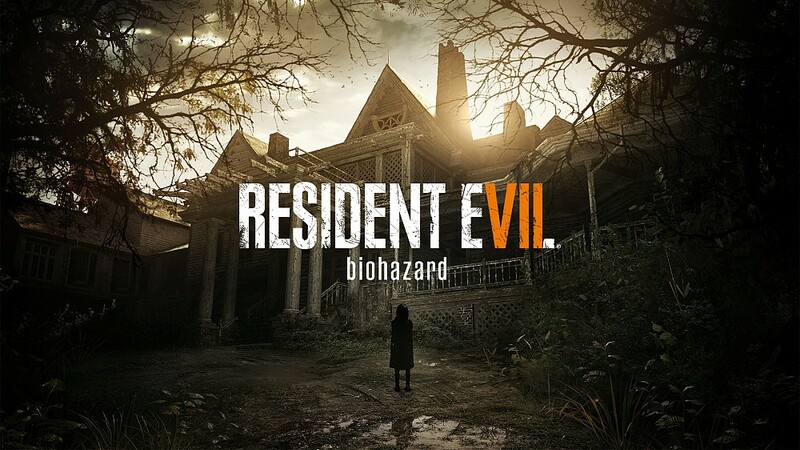 I played through the the first hour of Resident Evil 7 smiling from ear to ear. Not because the game wasn’t scary–it’s constant sense of impending doom is nerve-fraying at times. -As the game opens we see MC Ethan Winters driving to Louisiana in a scene that evokes both Evil Dead and The Shining. The car is most definitely a nod to the Delta 88 from the Evil Dead movies, and the shot of him driving immediately reminded me of The Shining. -While walking through the woods, Ethan gets his first glimpse of Jack Baker, in a scene that brings to mind the “monster at the end” scene from Episode 3 of True Detective. In fact, the whole opening area of the game feels very much inspired by True Detective, and I suspect that influence will be felt throughout the game. -The entire guest house you start the game in looks like the sloth set from Se7en. -Ethan watches a VHS tape of a couple paranormal investigators checking out the house, and there is a basement scene that features a note-perfect Blair Witch reference. -The entire basement segment of the guest house features direct nods to Evil Dead, and the floating corpse Ethan encounters is designed exactly like a deadite (I think it looks just like Scotty). -There are several hallway shots that are homages to P.T., and once scene with a ringing phone that is an almost direct shot for shot scene from P.T. -In addition to the True Detective vibe, there is a distinct Texas Chainsaw Massacre vibe in the design as well. Mia’s design feels very influenced by the 2003 remake. And the family of RE7 is a nod to the TCM franchise as well, in my opinion. -And that’s just in the first hour. The game itself is super creepy and builds tension right from the outset, and the Easter eggs are just making me love it even more. I can’t wait to get further into it.